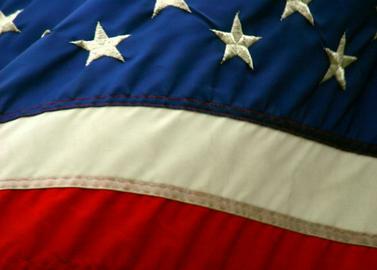 Today is Flag Day for those in the United States. June 14th, marks the celebration of the birthday of our flag ~ a reminder of the love of freedom, liberty and justice for all that our country stands for and that our flag embodies ~ it is a day to proudly fly the American Flag. And for me, it is a reminder of my Dad, who proudly flew the American Flag from our porch’s flagpole. It was my Dad who showed me how to roll the flag and put her away. He carefully never let her touch the ground and when she was battered by wind and the elements he carefully folded her and disposed of her properly. It’s funny because I’ve never really remembered how reverently he treated the flag until now ~ and it brings to mind that at his funeral, we were blessed to have the help of the Navy to make it a military funeral which he would have loved. At his request, he was even ‘piped over the side’ by a friend ~ just one of the few nuances to his service that those who attended experienced. Which brings me to the Daily Prompt as I think this moment of recall counts ~ today I realized how strongly he felt towards the flag and the USA. I never really thought about it until now, but as clear as day, I can still see his daily ritual of putting the flag out in the morning and taking her in at night and if she were left out, she had to have the porch light illuminating her. I’d bet wherever he is now, he’s the one in charge of the flag! Father’s Day looms this weekend and the first anniversary of his death comes shortly afterwards. It’s been a long year without him ~ full of struggles, tears and conflicting emotions. In fact, it simply doesn’t seem like he’s dead sometimes because I can trick myself into thinking he’s on one of his biking trips. But then of course, when I have to continue to take care of everything for his business and my parents’ affairs, I know he’s gone. I didn’t have an easy relationship with my Dad. It was fraught with turmoil. But I’d really appreciate seeing him again standing on the porch unfurling the flag proudly today. He was very proud of his country, proud to serve her and proud to be a Navy man. Long May Her Flag Wave!